Louise Robertshaw, head of comms and campaigns, Guide Dogs for the Blind shares insights ahead of her masterclass "Tricks And Tips To Successfully Engage With Your Audience" at the PR Summit. What are your top three tips for engaging and interacting with your audience? Know who you are: be clear about your brand and ensure that is brought to life through all communications. Get the basics right: it’s easy to get carried away with clever tactics. But don’t forget the basics, know your audiences and make it easy for them to take action. Make sure it is enjoyable – for you and for the people you are engaging with! How has the PR and comms function evolved over the last year? The world has gone social crazy and with it there is a trend for dissatisfied customers to quickly generate a social movement which can bring down the reputations of brands; or can make your reputation with engaging content that goes viral. Engaging with audiences is now an instant and constant conversation which requires an immediate response. What is your one recommendation for those looking to deliver an integrated comms strategy in 2014? Speak with one voice across all marketing communications channels. To get cut through you need clear and compelling messaging, as well as engaging content, that can be used across all offline and online channels. What does 2014 hold for the PR profession? It ain’t what you do it’s the way that you do it! Brands need to differentiate and stand out from the crowd in a multichannel environment. The most successful brands are not just focused on the bottom line; they are obsessed with their behaviour, their culture and the whole customer experience. We will see a rise in staff as reputation ambassadors – brands generating social movements through staff advocates. What session are you looking forward to at PR summit? I never could resist the adrenaline rush of a good crisis, so the crisis stimulation has a definite appeal! But the multi channel strategies case study and round table is definitely pertinent to Guide Dogs at the moment so looking forward to picking up a few tips in that session. 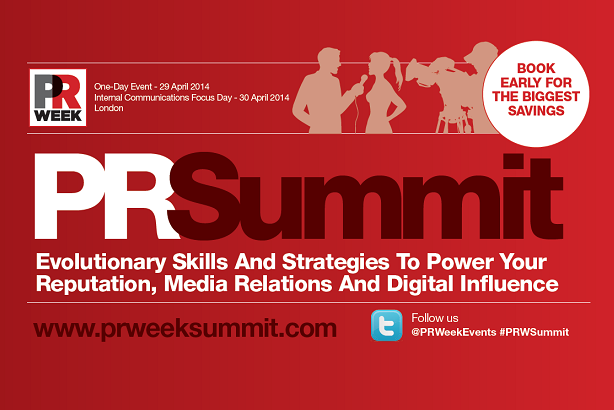 Louise Robertshaw will be speaking at the PR Summit on 29 April. Find out more about the event, including details of the day's agenda and other speakers.